In French, “Bijou” stands for jewel. In tennis, it stands for luxury, which is now part of the game. Players are already buying high-end sportswear, but now they can invest in upscale gear. A tennis racquet is the ultimate accessory in tennis as it showcases the player’s unique style. The idea for a dazzling racquet was born in New York City. Inspired by the city’s spectacular skyline, Bijou founders saw a niche for luxury in the world of tennis. 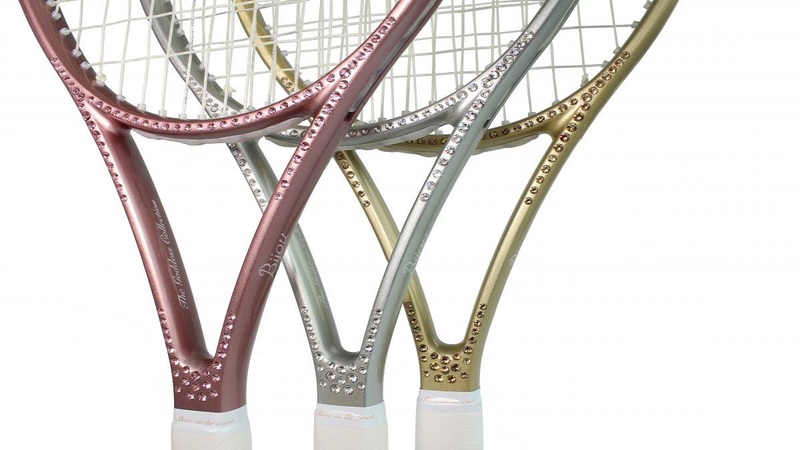 Adding sparkle to the racquet proved to be a craftsmanship challenge. The effort, however, proved to be well worth it. Not only is the Goddess collection an aesthetic masterpiece: It is a technical triumph, too. The frame is composed of the same fine carbon fibers as used in luxury cars. Without exception, each racquet undergoes 18 quality control steps, an industry high. The meticulous attention to detail is evident in the crystal arrangement and overall design. Notably, each racquet is individually hand painted by a master artisan. In addition, each racquet comes strung with the world’s best natural gut strings. In order to maintain exclusivity, Bijou produces each collection in limited quantities. At a price tag of $1,250, Bijou is the most expensive playable racquet on the market. The racquets are sold exclusively on the company’s online boutique, BijouTennis.com. Once you have decided between the rose, silver, and gold color, the packaging comes with a complimentary dust bag and a certificate of authenticity. Currently, the racquets weigh just under 10 ounces, come with a 16 X 20 string pattern, and have two grip size options: 4 1/4 and 4 3/8. The 100-square inch head size aids in creating a larger sweet spot, which is a great benefit to players at every level of the game. Furthermore, each racquet has a solid foam filling, which lessens the vibration and reduces the risk of an injury. In case you miss out on a particular model, Bijou also offers customization for its VIP clients. Besides choosing a color, a true connoisseur can add precious gemstones instead of Swarovski crystals. The personalization only takes few weeks, as everything from the design to painting, to crystal application is done in New York. For more information, visit BijouTennis.com.